Many of you who are familiar with my blog already know If I am not dressed pinup, I usually channel my inner Cleopatra. 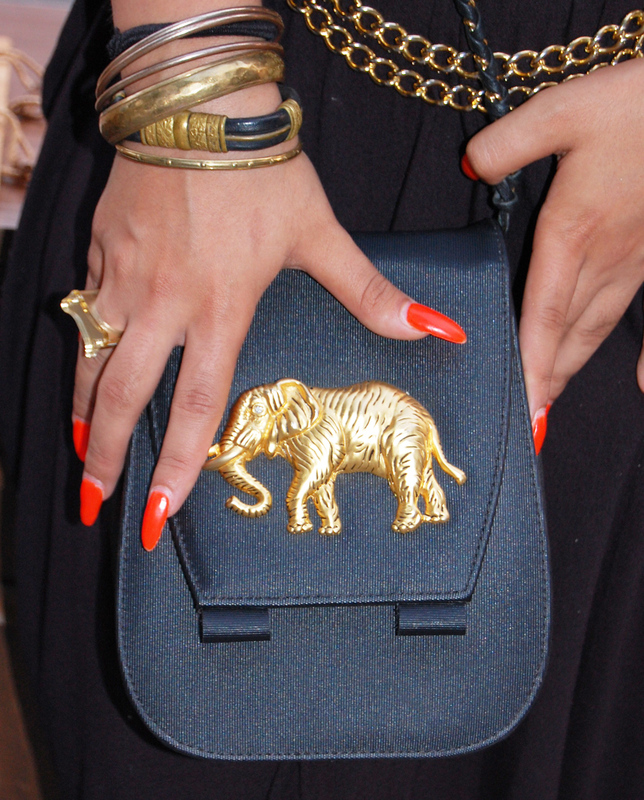 I love egyptian culture and it inspires me deeply within my style. Normally I am not a fan of headbands that are worn around the forehead (thanks to hipsters) but I made a little exception considering it went so well with my outfit. My dress is actually from Target and I am positive it didn’t cost more than $20, however, it is still an amazing dress and can make a great statement with the right accessories. This is a perfect example of how fashionable you can be on a budget. Check out more details about my outfit inside! My girl Madz is a london native who creates beautiful jewelry. Her line is called EVOL HEIST and many of you who have been following my blog for a while know that I’ve modeled for her line of jewelry twice. I love her work especially her Egypt collection which is what I am wearing on my head and around my neck. The head band I am wearing is actually a bolo tie and the necklace has engraved wings. See more in-depth descriptions of her egypt collection by clicking here. Love this necklace! My ring is also by Evol Heist, it is called the bone ring and it is limited edition! My bracelets and bangle is from Billy’s Antiques! ← “The Kustom Kills and Hot Rod Thrills” car show in Brooklyn! I gotta ask. Are those your real nailz?! girl! I have the same nine west shoes in a camel brown color that I refuse to get rid of, from at least 4 years ago, they are amazing and they def need a little SHOE Doctor visit too! that look is so great on you! the headband especially, you can do a lot of looks with that. You look so different here and totally gorgeous! I love this Pocahontas look, stunning doll face! 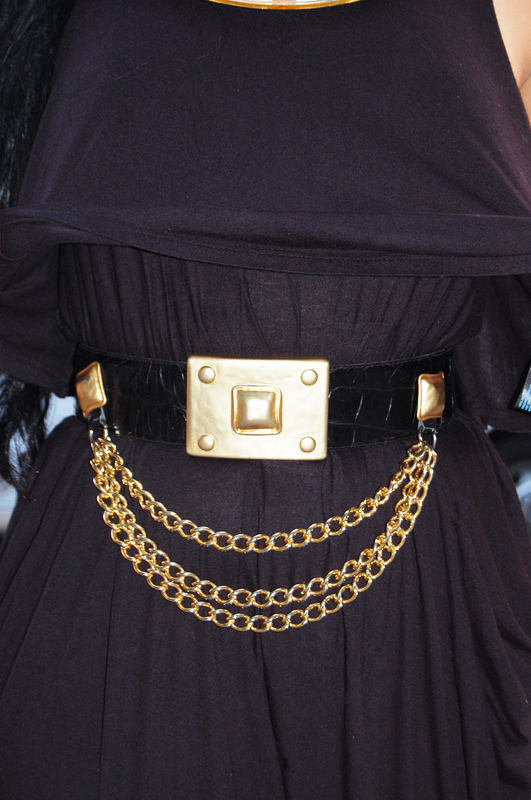 Wow, you look gorg and your belt and bag are ah-mazing! I love it!!! 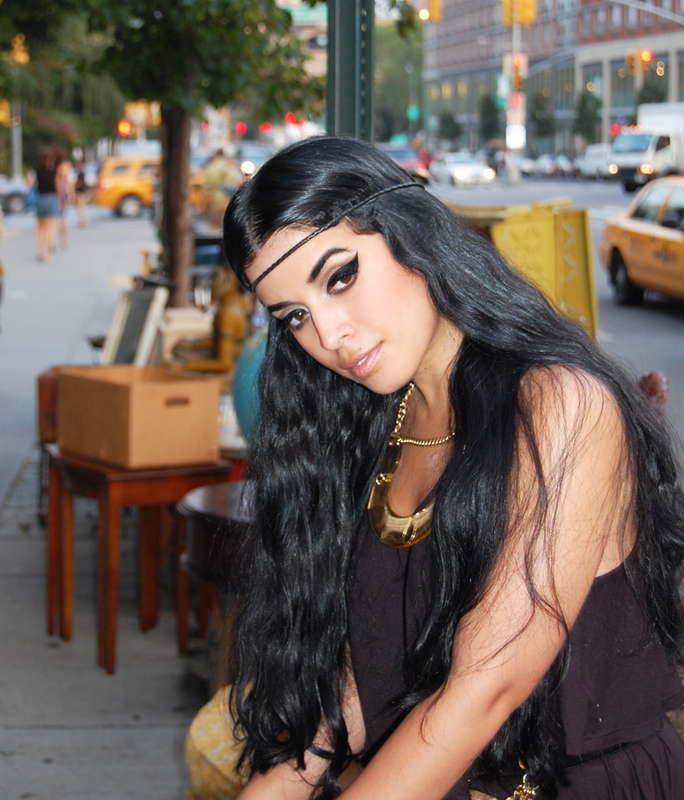 cleopatra looks are always hot! your blog is my new fave!